Hello again! Has it really been March since I’ve last posted?!? Things have gotten quite busy over here since my last post at the end of March. I had some posts that were almost ready to go up, but they never got finished because we were hit with some major life changing news at the beginning of April. We’re having a baby! This pregnancy, though very much wanted and planned, has not been the easiest. With everything that has been going on some things (like this blog) have had to fall to the wayside in order to figure out this new change in our lives. Within the next month or so we will be welcoming our new family member and figuring out parenting. While I would love to say that I would be able to post up here regularly and manage everything else too, I know that isn’t a realistic goal for now. I am going to try to put up some posts here and there, but I’m not going to promise a schedule for the near future. Once we finally figure out our “new normal” I hopefully will be back here once again. I hope you are all having a wonderful December so far! If I don’t manage to make another post before our little one comes have a Merry Christmas, happy holidays, and happy new year. Over the past year I have really been wanting to get a new pair of headphones. While I don’t mind earbuds, they can be tedious to wear after a while and always seem to get tangled together. While I had never owned a pair of really good headphones before, I was excited to get a nice pair that I can wear while travelling that muffles the noise of planes and people and allows me to enjoy the wonderful sound of whatever I’m listening to. My first thought was that I would get a pair of Beats solo headphones. Everyone seemed to have them and if that many people are buying them they must be good right? This train of thought got me a well earned lesson from my brother-in-law. Since he knows way more about sound quality and music than I do, I let him teach me the ways of finding really good headphones. The one major thing I learned was you should go to a music store. We went to a Long and McQuade where we pretty much spent an hour trying on their different headphones and listening to music. Though it seems like a really simple thing to do, I never thought about actually going to a store and trying out the headphones before buying them. While the headphones weren’t the most stylish out there (most of them just being plain black) I got to really hear the difference in quality between the different brands and models. I could also pick a pair of headphones that sat well and didn’t force my piercings in my ears into my head. I ended up picking a pair of white audio-technica headphones that looked great and just had this really amazing sound quality. And the kicker: they ended up being cheaper than the Beats headphones I was looking at! A day or two later we were in the Apple Store and I decided to try out the Beats solo headphones since they were out on display with the iPods. I was honestly surprised when I put them on. Not only did they not fit as well as some of the headphones I had tried on at the music store, but the sound quality wasn’t very impressive. I’m not saying they were horrible, but the sound quality was equivalent to what I could get out of my earbuds. I just really didn’t feel like they were worth their high price. 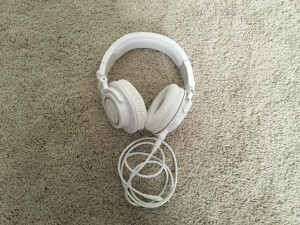 While my headphones didn’t come in a large variety of colours, I really am happy my brother-in-law stopped me from following the fad and showed me that good quality functional headphones are just better (and cheaper). Today I thought I’d talk about two new TV shows I’ve been loving that are based on books I have read. Now I’m usually not that into TV shows. I’ll usually watch a few episodes then completely give up on them. However, these two shows have kept me hooked and I’m really excited to see how they go. 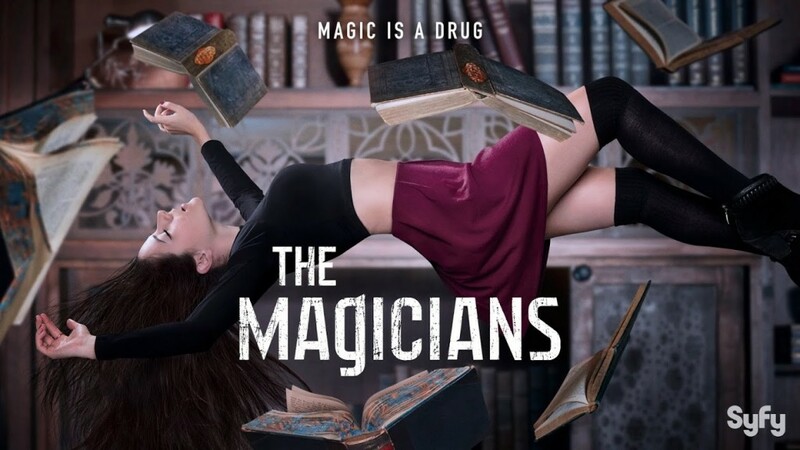 Now just a warning to all you book lovers: these TV shows are BASED on books. Though they have done a good job with all the characters, the storylines of the TV shows and the books are not completely the same. The first TV show I wanted to talk about is Shadowhunters. 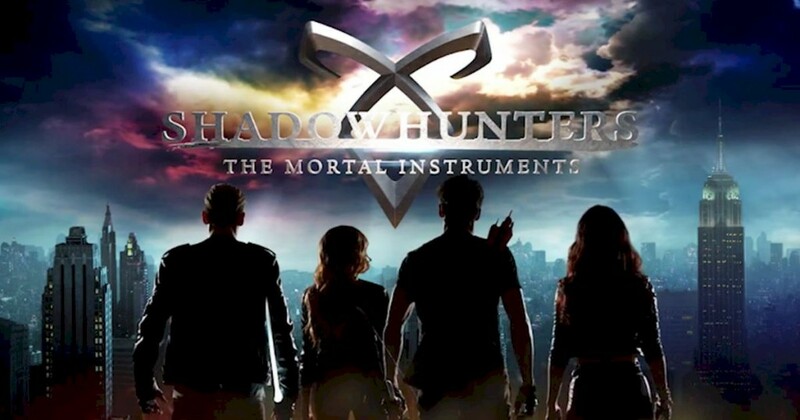 This show is based off the Mortal Instruments series by Cassandra Clare. The show follows Clary Fray as she tries to figure out the world around her after finding out she is a shadow hunter. There are demons, warlocks, vampires and werewolves galore in this show. While this show likes to deviate from the plot line of the book, they made sure to include some of the key plot points that were ignored when they originally tried to make a movie out of this book series. The characters themselves are very well done and they’ve already renewed this show for a second season. For any of you who want to check out this show it is playing on Netflix and a new episode is released every Wednesday. Ahh the age-old problem for writers. I haven’t really been updating my blog for the past two weeks because I came down with a bad case of writer’s block. Nothing like staring at a blank page for hours with no luck whatsoever. It’s not that I didn’t have topics I wanted to write about, it just wasn’t flowing properly and I just became a giant squid of anger with every failed attempt. So this past week I’ve been focusing my energy on other creative projects to try and get the juices flowing again. I finished loom knitting a hat, I did a little painting, and I did a little stress-free writing. What I mean by stress-free writing is I could just write whatever came to mind and it could be complete and utter crap. Since I don’t publicly post these pieces they are a lot less stress than writing a blog post. Sometimes just writing random bits of prose no one is going to read can really help push me through my writer’s block. I really like using the book 642 Things To Write About when I’m stuck for topics or ideas. Luckily for all of you I have my inspiration back and I’ll be making-up the posts I missed in the next two weeks.